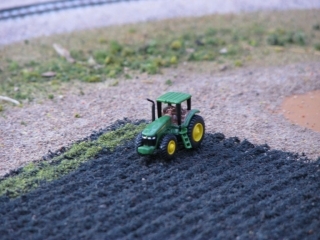 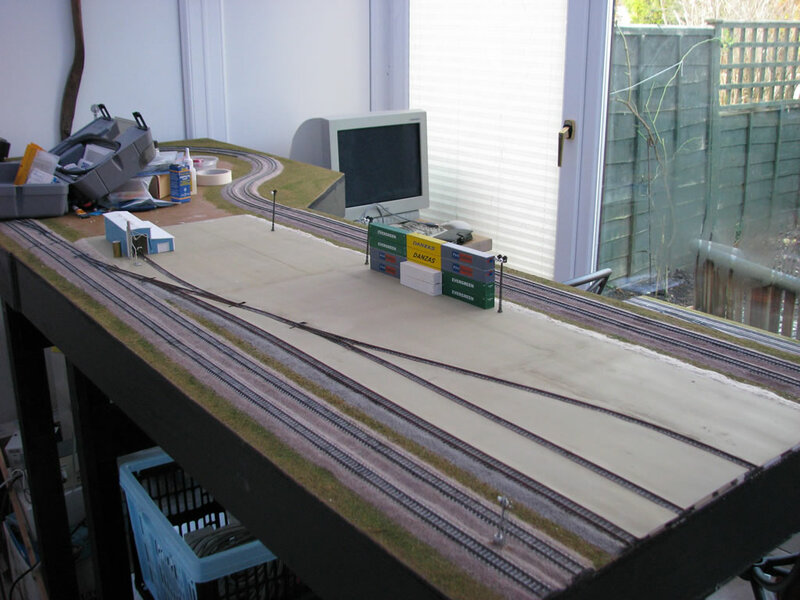 Still on track to finish the scenery in time for the Benson show on 10th January.Â In the last few days I have finished all the ballasting and have made good progress on the scenery. 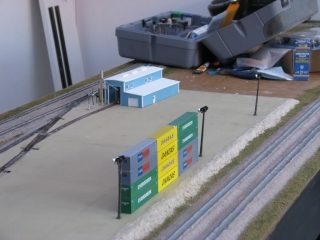 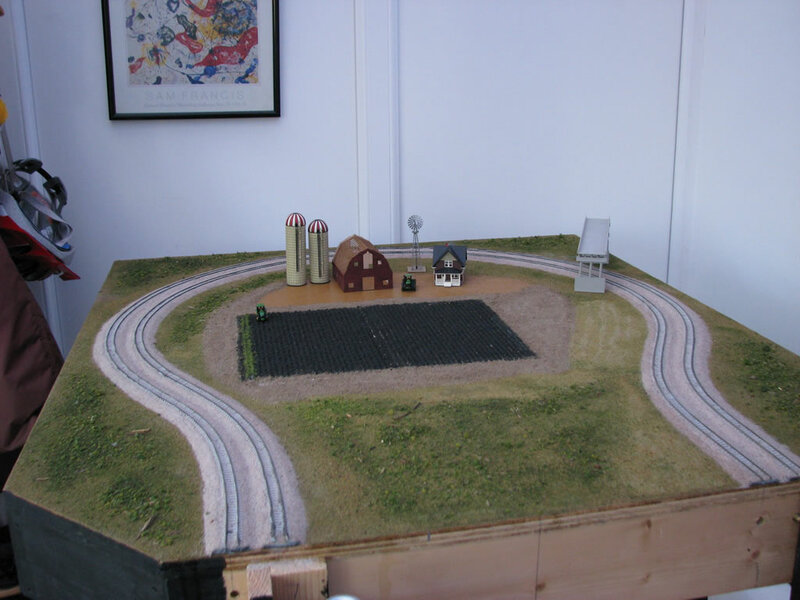 and a close-up showing a container stack, the loco shed (with refueling & sanding facility), and the yard lighting. More updates to come in the next few days.